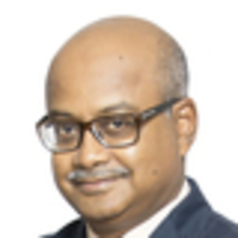 Dr Amitendu Palit is Senior Research Fellow and Research Lead (Trade and Economic Policy) at the Institute of South Asian Studies (ISAS) in the National University of Singapore (NUS). He is an economist specializing in international trade policies, regional economic developments, comparative economic studies and political economy of public policies. He worked with the Government of India for several years with his longest span being in the Department of Economic Affairs in the Ministry of Finance, India. Prior to joining ISAS in April 2008, he was with the Indian Council for Research on International Economic Relations (ICRIER), a leading economic policy research institute and think-tank in Delhi. His current research focuses on economic and political implications of India’s integration with the Asia-Pacific region, impact of mega-regional trade agreements, and various determinants of external trade and integration policies of China and India. His books include The Trans Pacific Partnership, China and India: Economic and Political Implications (2014; Routledge UK), China India Economics: Challenges, Competition and Collaboration (2011; Routledge) and Special Economic Zones in India: Myths and Realities (2008; Anthem Press; Co-authored). He has also edited several books and published in peer-reviewed academic journals. He is a columnist for India’s well known financial daily, Financial Express and a regular contributor for the China Daily. He appears regularly as an expert on the BBC, Bloomberg, Channel News Asia, CNBC, Australian Broadcasting Corporation (ABC), Doordarshan (India) and All-India Radio.